Like Christmas, the back-to-school shopping season is another one of those times when going on a budget-busting shopping spree is practically mandatory. According to a recent back-to-school survey, parents spend about $500 per child on back to school supplies, covering everything from pencils to backpacks. 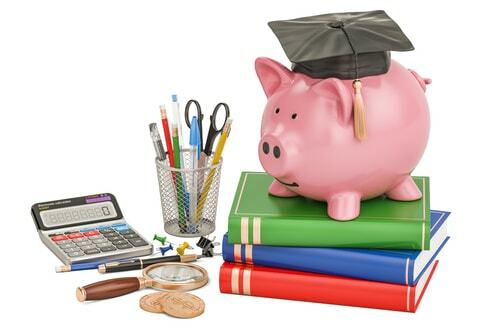 Save Money on School Supplies with These 6 Tips! It’s big expenses like these that often spur up the sudden need for a payday loan near you to help relieve the financial tension. But to help keep the spending down as much as possible, here are 6 smart ways to save on this year’s back-to-school shopping season. A good way to begin prepping for another year in the classroom is to go through the house and see what you already have lying around. Also, at the end of each school year, it’s always a good idea to go through the kid’s stuff and see if there’s anything that can be reused for next year. Backpacks, notebooks, writing utensils, and lunchboxes should all be checked. Your kids could still have at least another year of use left in these school essentials. Believe it or not, bargains can be found on any day in any season, you just have to know where to look. Thrift stores, for example, are a trending way to find the things you need at super low prices. The beauty about thrifting is you never know what you’re going to find from one day to the next. While you’re at it, check out overstock stores like Ross, Marshalls and T.J. Maxx. As far as clothes for school goes, these stores have everything the kids will need and at reasonable prices to boot. Dollar stores are also an often-overlooked commodity for low priced goods. Dollar stores are notorious for their $1 price tags and every dollar store has a stationary isle where you’ll find notebooks, pens, pencils and the like for dirt cheap. Shopping online is perhaps the most convenient way to get the job done. You can find everything on the kid’s school supply list with a click of a mouse and have everything ready for checkout in minutes. You can find where all the good deals are just by doing a quick search at your favorite places to shop. Also, web services like Ebates.com and Joinhoney.com make saving money easier than ever! Going for the generic store brand has always proved to save people money. Why get the expensive name brand stuff when stores have their own version of the same exact thing for a few dollars less? It’s a common-sense move that’ll help you keep your money in your wallet and you can apply this rule to just about anything on your shopping list. Couponing has been around for decades and it’s still an effective way to save money to this day. Coupons can be found everywhere. They come in the mail, in the Sunday morning paper ads, online or even at the stores. Collect coupons that offer savings on the things you need and present them at checkout. Saving money has never been simpler. How Will You Save on Your Back to School Shopping? 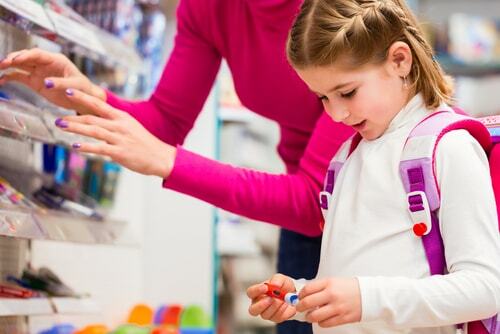 Back-to-school shopping doesn’t have to be a difficult and expensive venture. Use these tips to keep the savings high and the spending low. Shop online for convenience or hit the dollar stores for maximum savings. Maybe even do a bit of both? 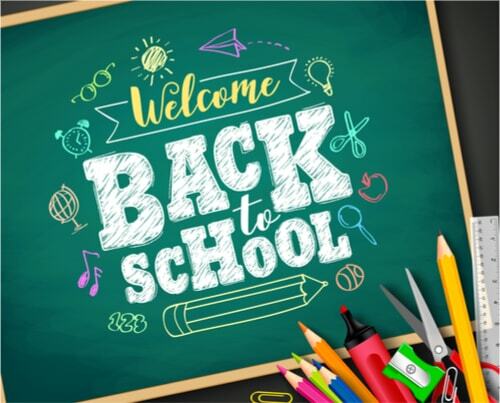 It’s up to you on how you want to tackle the shopping, but stick to these 6 tips and you’ll find that getting the kids ready for another school year is a lot easier than you think! Related: Christmas shopping have you thinking about the holidays? Check out these 4 joyous tips to assemble a Christmas budget.